Adaptations from novels or videogames usually tend to be OTT or off the mark entirely, so it is nice to see one that nails the true spirit and intent of its original source material—a book by Chris Van Allsburg. Set in just one location, director Jon Favreau (Elf) manages to capture the attention and imagination of audiences throughout the movie in the spirited and entertaining Zathura.A seemingly normal single-parent family—complete with squabbling siblings, a young angst-ridden older sister, and a workaholic father—are thrown into a fantastic adventure after the two kids, Danny (Jonah Bobo) and his brother Walter (Josh Hutcherson), discover a Zathura game in the basement. Once unleashed, the game practically uproots their home and takes them on a journey through space, where they have to navigate their way through every possible pitfall—from meteor showers to fighting off dreaded aliens. Realizing that they cannot get back to Earth unless they keep playing, the brothers soldier on, and in the process, get to know each other better (all together now: “Awwwwwwww”).With excellent CGI effects that rival the best from Star Wars, this is one of the better children’s films we’ve seen recently. 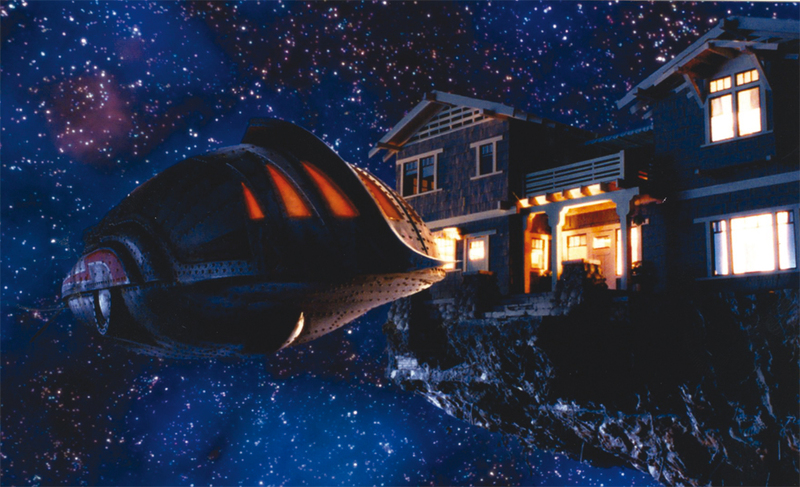 Although billed as Jumanji in space, Zathura is infinitely more watchable than its predecessor. The latter is a warmer and more emotional film, despite the many outrageous special effects, thanks to the credible performances of its two young cast members. Bobo in particular exudes a childlike yet naughty disposition that makes his Danny thoroughly likeable and believable.Zathura has all the makings of a hit for children of all ages. Do yourselves a favor and catch the film—just be prepared for a minor takeoff.